Facet joint problems are among the most common sources of lower back and neck pain. They can cause debilitating, chronic problems with the neck and back and can lead to other more serious conditions and symptoms that can be disabling. Cervical facet joint syndrome, or cervical facet osteoarthritis, is a degenerative condition marked by stiffness and pain in the cervical region (neck) of the spine. Patients are able to gain relief from various types of treatment, including chiropractic care. What is Cervical Facet Joint Pain? The spine is comprised of a chain of bones known as vertebrae. Each one has two facet joints on the back side and a large disc on the front side. This allows the vertebrae to stack neatly, one on top of the other, providing stabilization for the entire body. The facet joints are synovial joints, like other joints in the body and sometimes they can become inflamed or injured, causing pain and stiffness. Cervical facet joint pain is, quite literally, a pain in the neck. It means that the joints in the neck area have become injured or inflamed. Pain from this condition can make it difficult for the patient to turn their head from side to side, or to move it up and down. The cervical facet joints are almost always working. They undergo repetitive, constant motion and over time they can become torn or worn down. Problems within the joint can cause movement to be restricted or it can have too much movement, both of which can cause pain. Injury, such as whiplash, to the area can also cause problems. If the condition is not treated appropriately, it can be degenerative and the patient can lose both flexibility and mobility, as well as suffer from chronic pain. When a patient is diagnosed with cervical facet joint pain the treatment is usually fairly conservative. Their doctor may recommend soft tissue massage, physical therapy, and posture correction. This is usually combined with medications such as an anti-inflammatory like ibuprofen, or muscle relaxers to ease muscle spasms in the muscles that surround the affected joint. If those methods do not give the patient relief, the doctor may take a more aggressive approach, prescribing facet joint injections that use steroid medications injected into the affected joint. This approach is intended to keep the pain localized while reducing it. The procedure can be performed in an outpatient setting and has a good record of being effective, but the results are temporary. 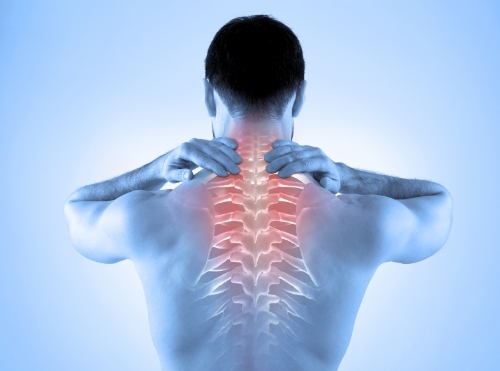 Chiropractors have had much success in treating cervical facet joint pain. They are able to manipulate the areas that are affected, restoring painful, restricted facet joints to a point where they are able to move much easier and without pain. Over time, with regular chiropractic treatments, they can help to reestablish a normal range of motion in the neck area for their patients. This is all done without any medications or injections. It is a natural, gently, effective method for relieving the pain and helping the patient enjoy a better quality of life.